It’s blackberry season and this year our valley has a bumper crop. It seems everywhere we go there are branches bending over with the weight of ripe, luscious berries. Best part? They’re free! Blackberries freeze well. I lay them out on baking sheets, freeze them, and then toss them in containers to be enjoyed in the winter. We made our favourite hot pepper jelly this week. We devour dollops of this jelly on crostini smeared with chevre or cream cheese. Laura and I picked about two ice cream buckets full but we only needed about 10 cups to make 4 cups of juice for this jelly recipe. 1. Crush 10 cups of freshly picked and washed blackberries. I just use a potato masher. Spoon them into jelly bags and let them sit and drip overnight, or for at least 2 hours. Resist the urge to squeeze the last bit of juice out of the berries as this will cloud your jelly. If you don’t have enough juice, you could always stretch it by replacing some of it with clear unsweetened apple juice. 2. Mix the pectin crystals with 1/2 cup sugar in a bowl. Stir the blackberry juice, lemon juice, pectin mixture, and finely minced Habaneros in a saucepan; bring the mixture to a boil for 1 full minute. Add the 3 1/2 cups sugar and return to a rolling boil until the sugar has fully dissolved, about 1 minute. Remove from heat; stir while off heat to remove bubbles and foam for about 5 minutes. 3. Ladle into sterile jars leaving 1/4 inch head space. Seal jars and process in a hot water bath for 10 minutes. Carefully remove from the canner and leave undisturbed for 24 hours. Refrigerate jelly after seal is broken. Fire in your mouth–so good. 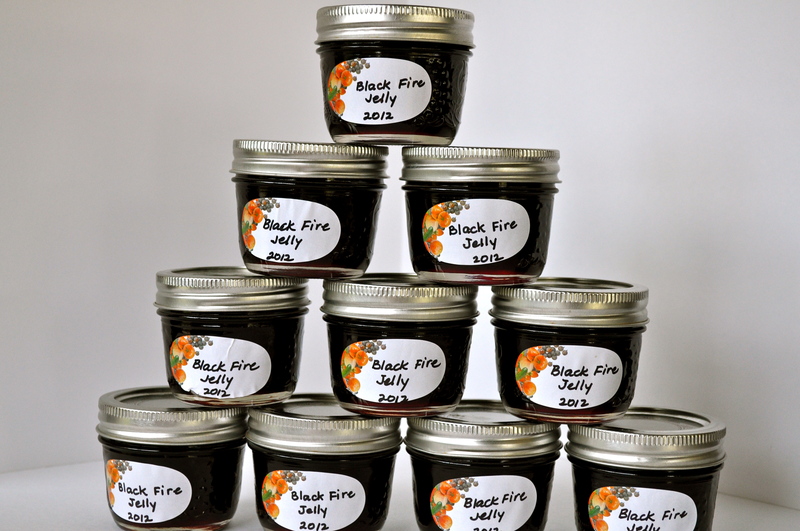 This entry was posted in preserves, preserving/drying food and tagged blackberry jelly, blackberry juice, habanero jelly, hot pepper jelly, jelly bag, pepper jelly, preserving blackberries. Bookmark the permalink. My wife and plan to make your “blackberry habanero jelly” but we are considering using one pouch of the liquid pectin instead of the powder one. Have you tried both? do you see a possible issue with it? I have not tried the liquid pectin with this, but I do know that you can’t simply substitute one for the other as they work in different ways. Powdered pectin is added before you bring the fruit to a boil and before you add the major amount of sugar. 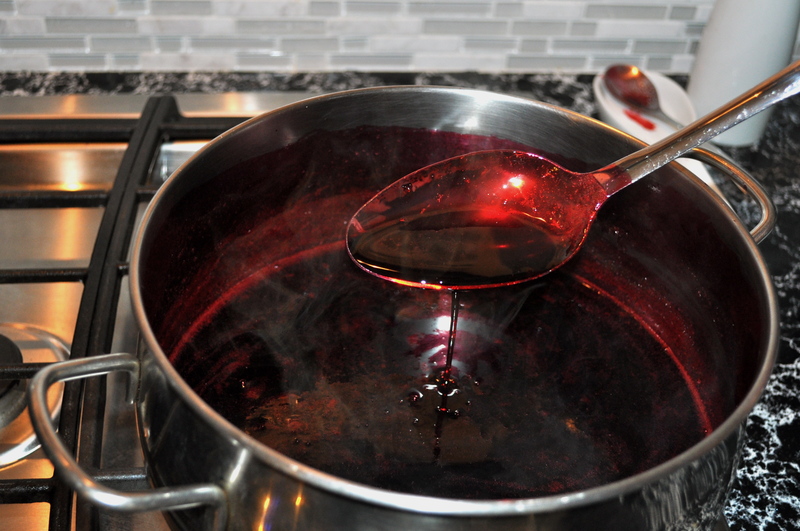 Liquid pectin is added after you bring all the ingredients to a boil. You stir it in after boiling for 10 minutes, then boil for 1 more minute before filling the jars. As far as the amount to use, one packet of powdered pectin measures 6 tablespoons. My recipe calls for this amount. Looking online, however, tells me that 2 Tbsp. of liquid pectin is equivalent to only 4 teaspoons of powdered. So, if I do the math, you would have to add 9 Tbsp. (or 1/2 cup plus 1 Tbsp.) liquid for the same effect. I sure hope this makes sense to you!! Good luck, and please let me know how it turns out. I picked blackberries this morning and they are in a jelly bag on my counter as I write this. I am thrilled to find this recipe! My husband and I are growing habaneros for the first time and just located a HUGE supply of blackberry bushes on our property, so this is PERFECT! 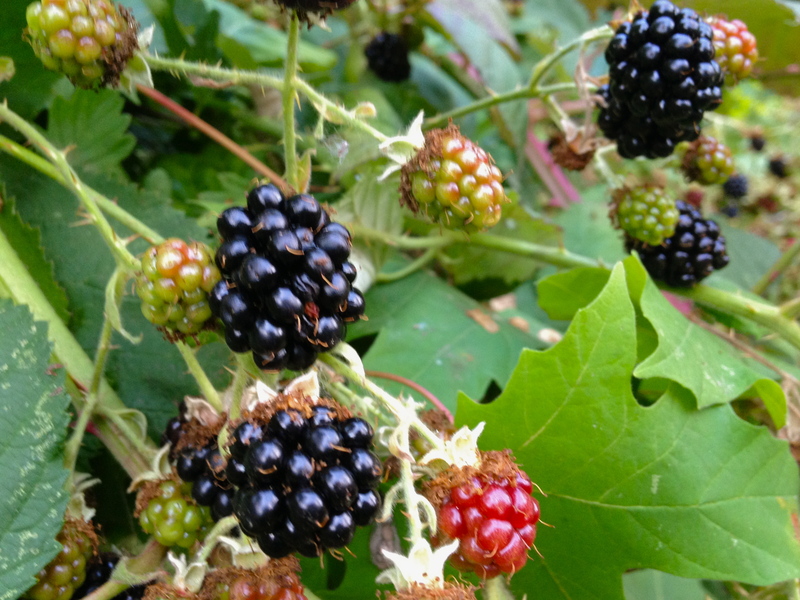 The blackberries we will be using, however, are not thornless, and so produce smaller, less obnoxious seeds. Would it be possible to make this recipe without straining the crushed berries? Thanks!